A single focus on the business of auctioneering has made Marianne F. Sullivan a top name in the industry. President of Sullivan & Sullivan Auctioneers, LLC and lead auctioneer, she has more than 27 years of widespread experience in the real estate auction arena. Marianne is best known for her generosity. She regularly donates her time and expertise to conduct charity and fundraising auctions for non-profit organizations, schools, and church groups. She currently serves on the Board for Home Options for Massachusetts Elders (HOME) and works in collaboration with Housing Assistance Corporation of Cape Cod organizing donor support programs and contributing to charitable activities. 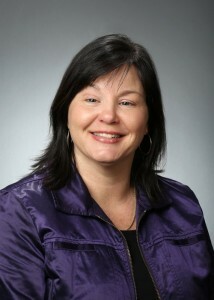 Additionally, Marianne is actively involved in many local and national professional associations – Massachusetts State Auctioneers Association (MSAA), National Auctioneers Association (NAA), New Hampshire Auctioneers Association (NHAA), Commercial Real Estate Women (CREW), and Turnaround Management Association (TMA). She has been selected by Yankee School of Auctioneering to teach continuing education classes for other professionals in the field, and many real estate brokers and salesperson in Massachusetts have called on her to conduct seminars for auction participants. Sullivan & Sullivan is a family business and Marianne is joined in the venture by her father, Fred. His straightforward principles and beliefs were passed along to his daughter and they now permeate the culture of the company. 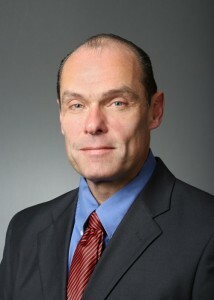 Fred serves as Chief Financial Officer and oversees our Personal Property division as well. Frederick has over 40 years of knowledge and experience in business management and administration. His extensive personal background in the restaurant business is a tremendous asset to clients desiring to liquidate surplus commercial equipment. Sullivan & Sullivan’s in-depth knowledge of the field and industry contacts help clients make the most of their substantial investments in commercial equipment. 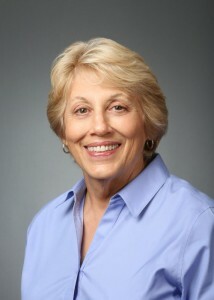 Every Sullivan & Sullivan client comes to know and rely on our Director of Operations, Betty Quinn. A business operations expert, veteran of the Real Estate Industry, and a Massachusetts licensed realtor, Betty brings an unsurpassed level of expertise to every auction experience we handle. Betty has assembled a support staff that shares her own commitment to exceed client expectations through top-notch customer service. Their goal – a hassle-free experience, starting with scheduling an auction to scheduling staff to conduct the sale, with no unnecessary delays and 100% customer satisfaction. At a pace of more than 100 auctions each month, Betty coordinates, schedules, and manages the field staff for all of our auctioneers and agents in Massachusetts, Rhode Island and New Hampshire. She has developed her own proprietary process that begins with in-depth property research. Based on the information she gathers and the needs of the client, she customizes a comprehensive plan process that leaves no stone unturned, including proven, cost effective advertising strategies that drive qualified bidders to every auction. Betty brings her enthusiasm to everything she does, including her favorite charitable causes. 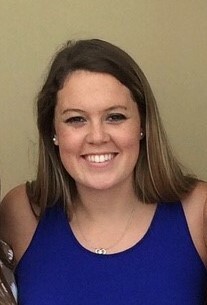 Andrea is our Sr. Accounts Payable/Receivable and Client Billing Coordinator. With over three decades of AP/AR experience working for the Nauset Public Schools. Andrea’s efficiencies in the back office help us hold down costs and allow us to concentrate on meeting the needs of our clients. Her skills assure clients that the billing is accurate and timely – a challenging task considering that bills are issued within 24 hours. Andrea is our main point of contact for accounts payable and accounts receivable and, like other members of our team, she is devoted to client satisfaction. Clients can request billing be handled electronically or manually. Andrea will also prepare complete billing packages including copies of the ads, the mail flyer, and the auction attendance report sheet whenever requested. An integral part of our administrative staff, Nancy Collins performs the vital property research needed to thoroughly evaluate an asset and identify selling points that will highlight a property’s key features and attract buyers. Property ads are then prepared and placed for optimum exposure within the strongest target markets. Nancy’s vast customer service experience is a perfect match for our company’s client-centered focus. Clients and potential bidders immediately sense that in the articulate personal service she provides. Nancy’s experience comes from years of experience as a Contract Administrator, where she sold equipment maintenance and worked as a liaison between customers and executives in a customer service organization. Abby is our Executive Auction Coordinator and Client Manager representing major law firms in the day-to-day foreclosure operations. 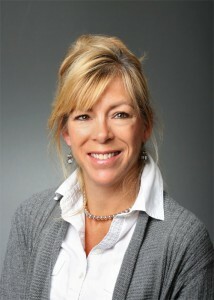 She is responsible for coordinating and scheduling a pipeline of foreclosure auctions for select law firms. Abby works closely with clients to ensure all foreclosures are scheduled and processed according to the legal requirements in a timely and efficient manner. She facilitates a high volume of auctions and adheres to the quality and compliance standards that have been set and integrated for the company. Brian Mullen, Sullivan & Sullivan’s lead Real Estate Broker and Founder of a top Massachusetts real estate firm, Options 153. 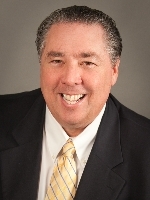 Brian has been named #1 Agent in Plymouth, MA for many years and manages over 25 top real estate sales associates. His knowledge, business ethics and disciplines compliment his real estate successes. 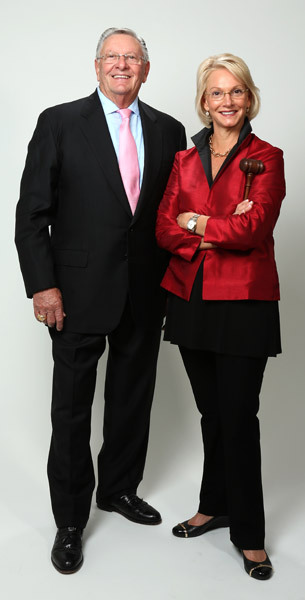 Brian is our lead Real Estate Broker for Sullivan & Sullivan Auctioneers, namely Marianne Sullivan, Elizabeth Quinn & Nelson. Frank holds an active auctioneer license in Massachusetts , Rhode Island & New Hampshire along with an active Real Estate Broker’s license in Massachusetts & Rhode Island. He also holds a Bachelor’s Degree from Bentley College and received his MBA in Finance from Babson College. Frank always has a pulse on the real estate market and is able to gauge the value of a property prior to going on the auction block. He uses his realtor resources to research his properties and gain a complete understanding of a property’s potential value. Beyond his work as an auctioneer, Frank makes educating others a priority. Frank is also generous with his time & talents, as he donates several hours working with needy children & families around the Boston area and beyond. 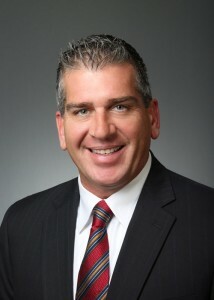 Nelson is a licensed auctioneer in Rhode Island and Massachusetts. His work ethic and dedication to client satisfaction make him an invaluable asset to our operation. Nelson is often called on to work as an agent for clients who request that we represent them at an auction and bid on behalf of the banking institution. As part of our auction team, Nelson rolls up his sleeves to do the important work to make every auction a success. He visits properties to gain information and takes property photos for marketing purposes. He also prepares properties’ and coordinates lock changes, property clean-outs and improvements when necessary.